In March 2018, Inge de Backer from the Netherlands, contacted Zeeland City Hall who referred her to Dorothy Voss. Inge is writing a book about Dutch communities in America. 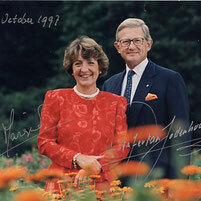 Of particular interest is what "Dutch" festivals, foods and traditions these communities celebrate today. 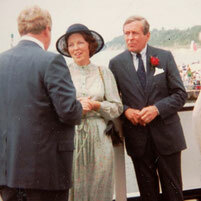 Dorothy wrote a short story about Zeeland for Inge, which you will see below. 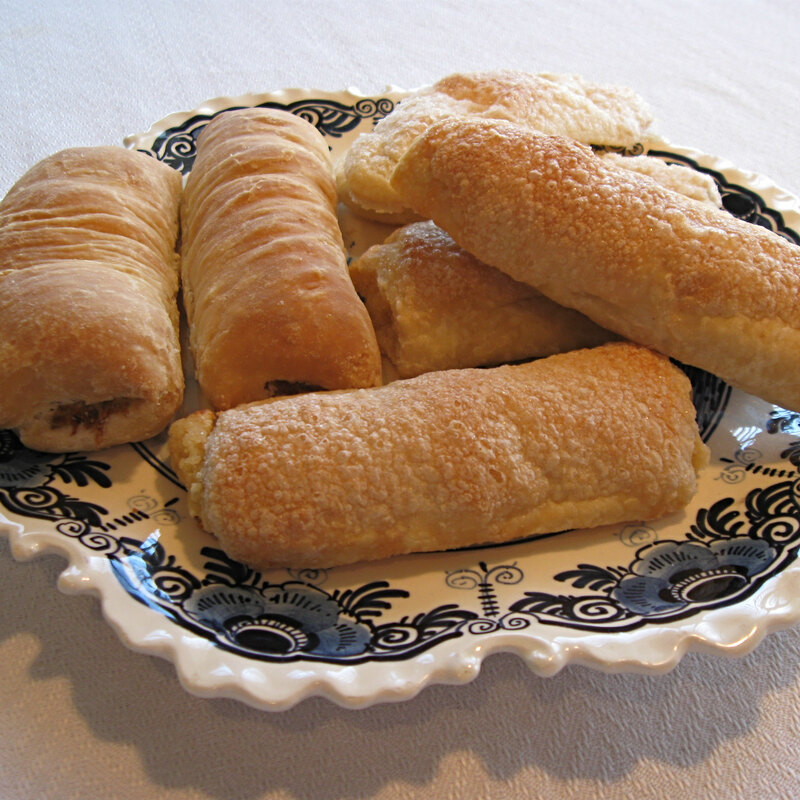 Dorothy also furnished pictures including one showing an assortment of Dutch pastries and pigs-in-the-blanket from the Zeeland Bakery, arranged on a Delft plate from Dorothy's collection. Another picture shows our new gathering space in downtown Zeeland, which was recently built in the Dutch woonerf style. 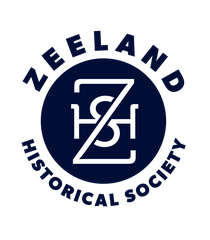 Those who settled Zeeland, Michigan in 1847, were part of a wave of emigrants who left the Netherlands for economic and religious reasons. The Zeelanders, from Goes and Borssele, were Separatists, seeking an area in America where they would have the freedom to build a community based on biblical standards, to which the 425 people in the group, agreed. They were led by Jannes Vande Luyster, the chief financier, and Rev. Cornelius Vander Meulen, their chosen pastor. After their arrival in the forests of southwest Michigan, they immediately began establishing businesses: wood products from the forests, brick making from the plentiful clay, large farms and village shops. A log church and a school were first priorities, as were rough log cabins for the families. 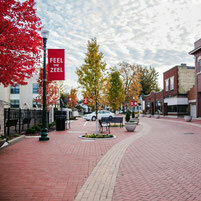 Zeeland has grown and flourished since those early days. Adding to the population of 6,000, another 12,000 people come to work in and around the city each day. There are two high schools, two middle schools, six elementary schools, one year-round school and a large Christian school. There are also numerous Reformed and Christian Reformed churches, and some independent churches. 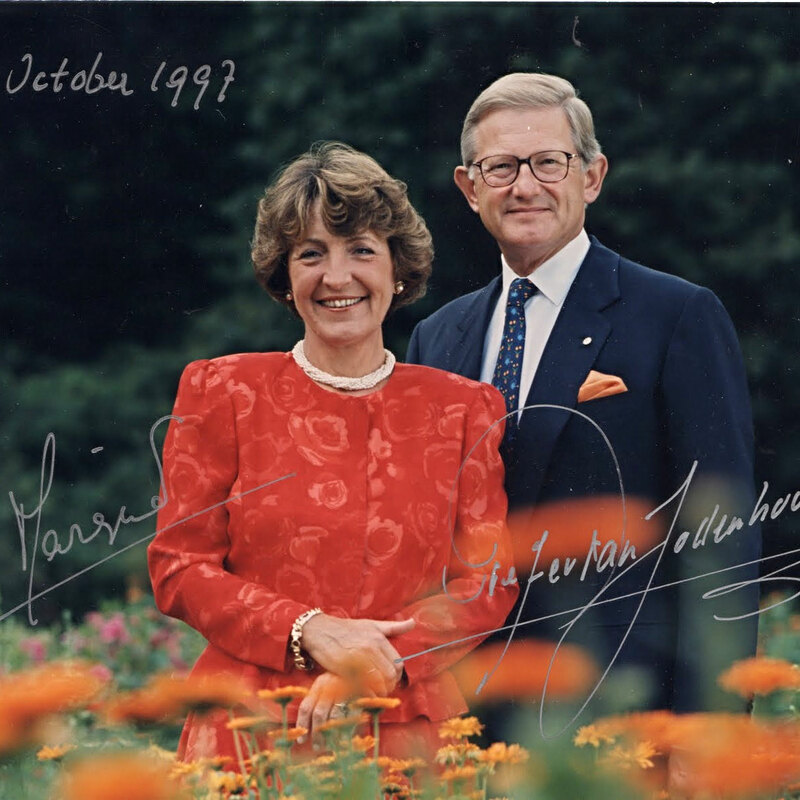 Dutch royalty has visited Zeeland twice in recent years: Queen Beatrix and Prince Claus came in 1982, and Princess Margriet and Pieter van Vollenhoven came in 1997. Both visits were honored with downtown receptions. A new gathering space was recently built in the Dutch woonerf style downtown. 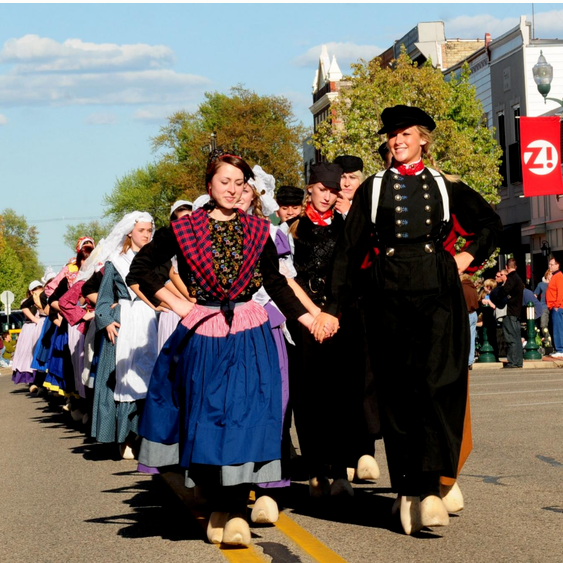 Some vestiges of the city Dutch heritage remain, mostly contained in the exhibits at the Zeeland Museum, but also in a downtown Kings/Queens Day celebration, featuring our high school Dutch dancers, in costumes of all the Provinces, who go on the dance in the Tulip Festival in neighboring Holland the next week. 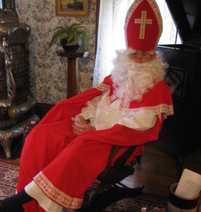 The museum celebrates Sinterklaas with small children being able to tell their wishes to the old saint. He is in full costume. 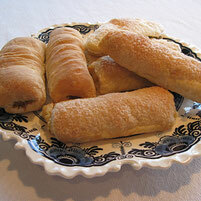 Our Zeeland Bakery makes several Dutch treats, such as Banket, Saucijzebroodjes. Speculaas, and Krakelingen. 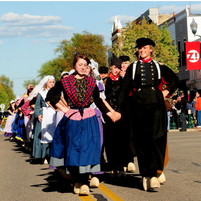 Local festivals, not Dutch-related, include a popular criterium bike race, a twice-a-year outdoor crafts market, summer concert series, and Pumpkinfest, a harvest celebration with a fun parade. Our war veterans are honored with a large parade in late May on Memorial Day. 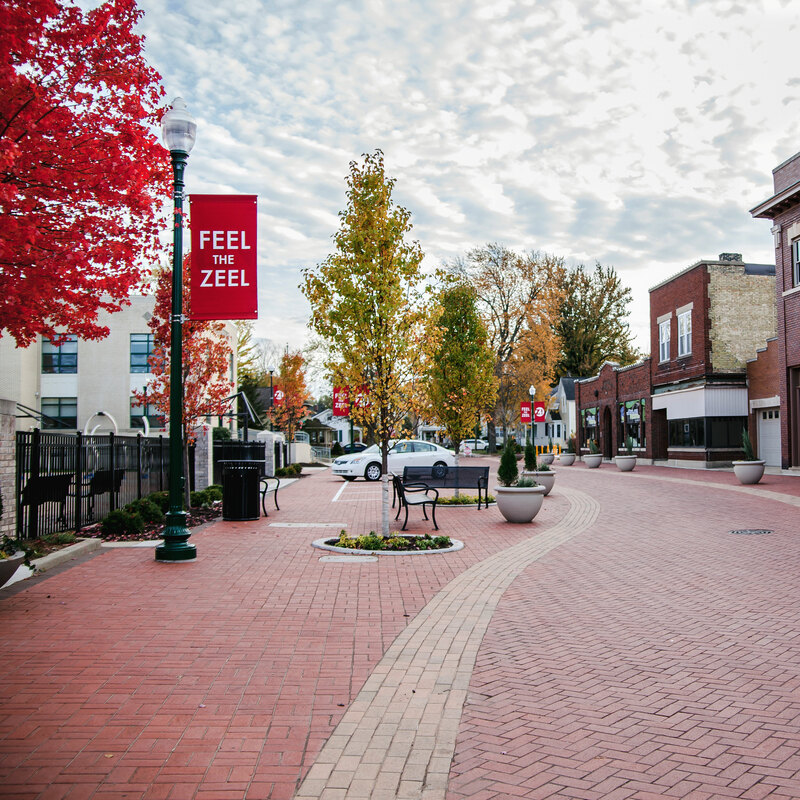 Zeeland’s residents are proud of their community because of its heritage of honest work, cleanliness, friendly relationships and care for others, reflecting the principles upon which the city was founded.